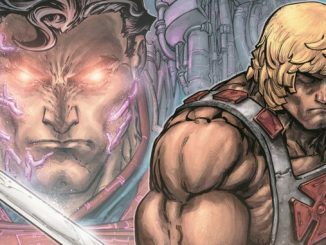 He-Man/ThunderCats, the much-anticipated crossover of the popular ‘80s franchises, returns with an action-packed second issue. 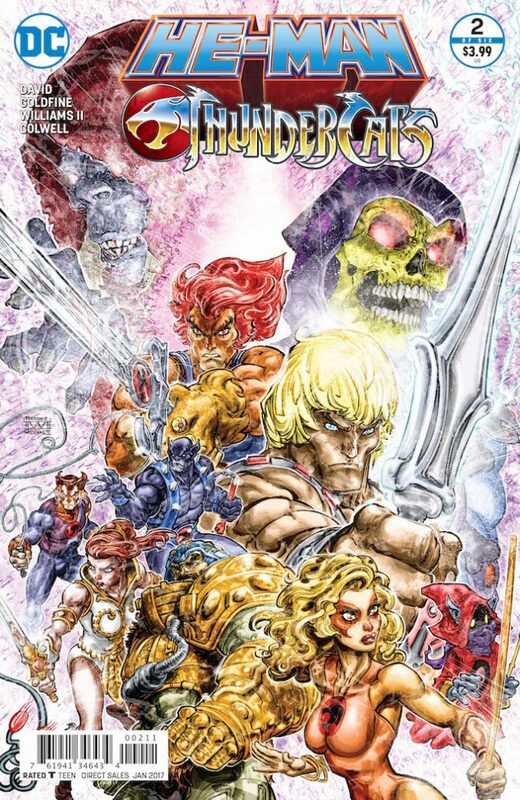 While it contains fun nods to the classic cartoons and some surprising twists on expectations, it’s mostly a massive battle where the henchmen of both Skeletor and Mumm-Ra dogpile on the Most Powerful Man in the Universe. The story picks up where issue one’s cliffhanger left off: Skeletor has double-crossed Mumm-Ra to take He-Man’s Sword of Power. He’s also captured Mumm-Ra’s essence for another part of his plan to steal all the powers of Castle Grayskull. 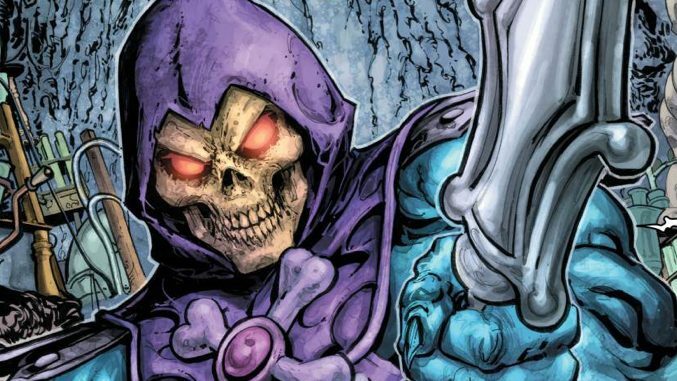 He’s made a deal with the Ancient Spirits of Evil to release them from the Black Pyramid on Third Earth, but Skeletor is hardly the type to follow through on a promise. From there, we catch up with He-Man. After rescuing his father, King Randor, the hero is attacked by MOTU stalwarts Evil-Lyn, Beast Man, Trap Jaw, and Tri-Klops, alongside their “friends from out of town”, Slithe, Jackalman, Monkian, and Vultureman. He-Man is significantly weaker without his Power Sword, and he has no allies to help out. The battle is pitched and sprinkled throughout with small character moments. It takes up nearly the entire page-count. 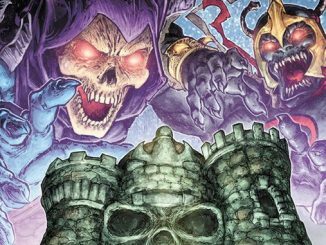 The issue ends back at Snake Mountain as Skeletor’s master plan comes together. Then, perhaps too late, Lion-O and the rest of the ThunderCats swoop in to stop him. Like the previous issue, He-Man/ThunderCats #2 is decidedly heavier on He-Man’s side of the story. #2 ends with another cliffhanger, though, one that hints the next few issues will have more to do with the Thundercats’ adventures on Eternia. 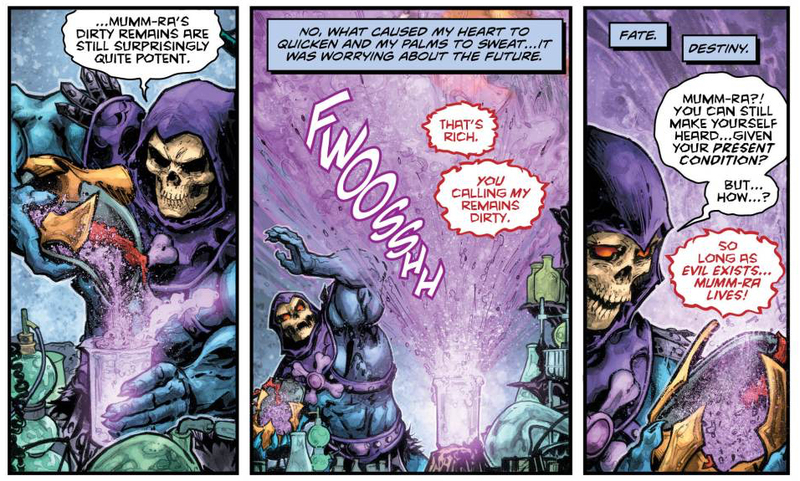 The first installment of the miniseries garnered some criticism for the more modern slang words used by Skeletor. These are still present, though less noticeable since the voiceover caption duties have been taken over by another character this time around. The plot is thinner in this issue due to the length of the fight. 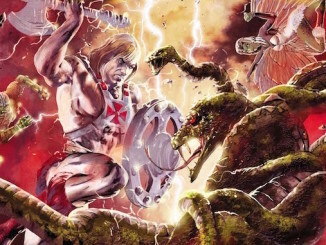 While it is cool to see He-Man battle all the bad guys, it also eats up most of the book. Because of this, the ThunderCats only appear on the last page. On the positive side, Freddie Williams II appears to have been turned loose on the extensive fight scene. Aided by Jeremy Colwell’s colors, the action is fast and hard-hitting, and contains a spot or two of blood. Still, it’s all a bit cartoony and exaggerated. More and more, this miniseries is shaping up to be the perfect story for a fan of the characters from their heyday in the ‘80s who have fallen out of touch with the franchises. This could be just the thing to draw them back in. The comic is accessible and fun, if a bit light, reading. 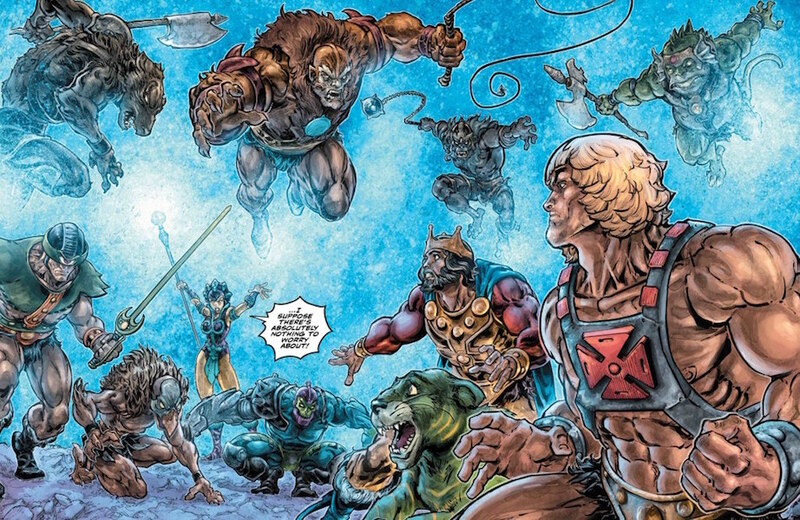 All in all, He-Man/ThunderCats #2 is a strong continuation of the very strong first issue. There are a few pacing issues due to the format, but this will all flow together much better once the whole miniseries is collected.